Wesley College new principal Ross Barron. ROSS Barron will leave his position as Head of Senior School at Hale School to take up the role of Principal at Wesley College next year. 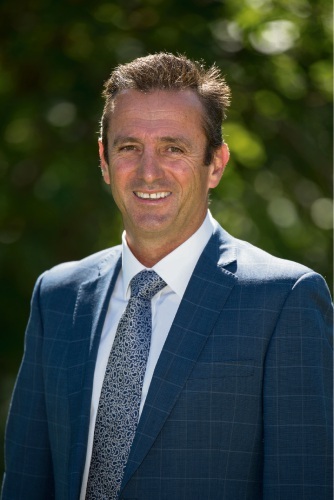 Mr Barron will replace principal David Gee, the third longest-serving headmaster in Wesley’s history, with a five-year appointment from January 2019.Wesley College Council chairman Jim Walker said Mr Barron’s unanimous appointment was an exciting step forward for the college. “After a complete and exhaustive national search, we are delighted to welcome Mr Barron as our next Head of College,” he said. “Mr Barron quickly asserted his candidacy during the selection processes, demonstrating a track record of transformational leadership success throughout his career, a deep faith and a readiness to step up to a Head of College role. “What resonated with us most was how well his values reflect those of the Council and the culture and ethos of Wesley.